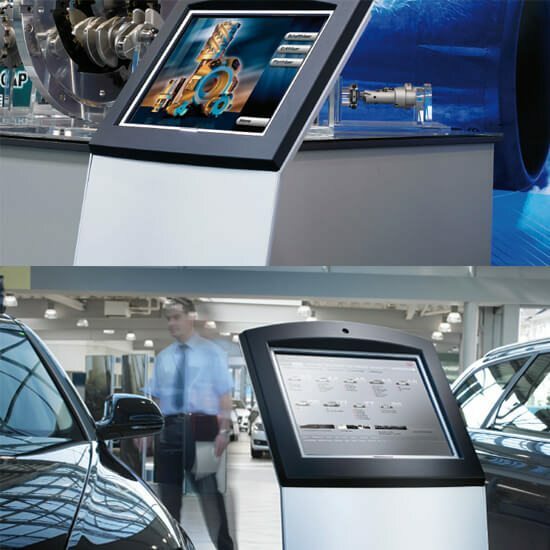 Our wide kiosk range offers the right system for every purpose. 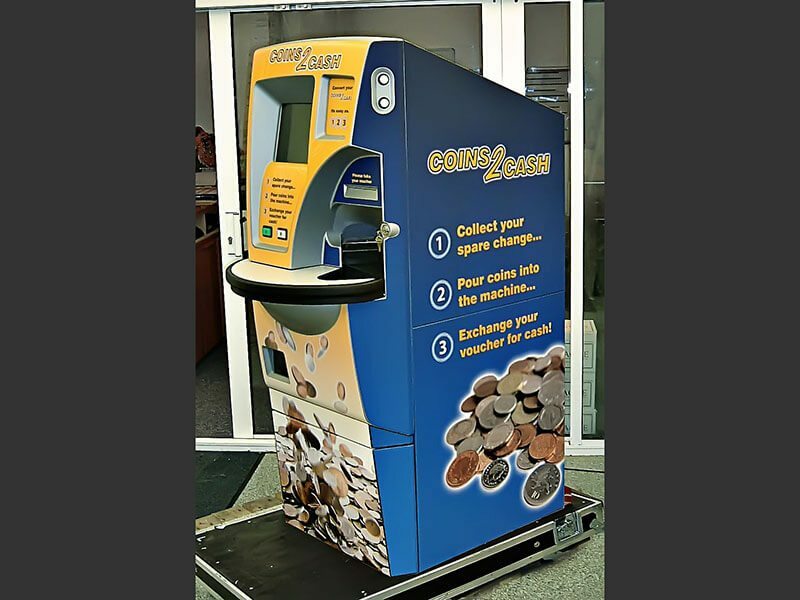 Whether it’s something simple like providing access to the internet or something a little more complicated like taking payment and printing tickets, we have a solution. Please see below for more information. 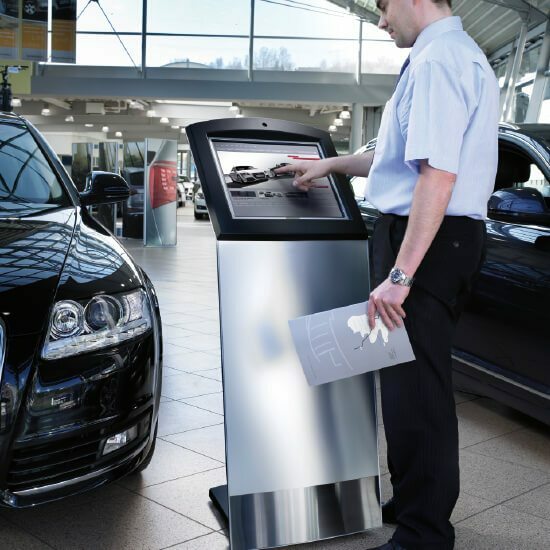 We have solutions from a simple internet-kiosk up to a 105″ digital signage and if that’s not enough most models can be customised to cater for your specific requirements. 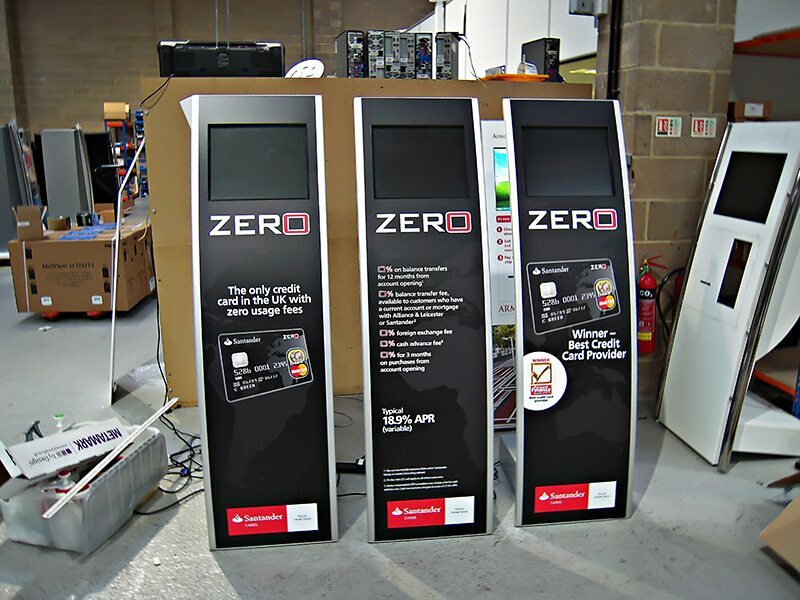 All models can be fully branded for maximum impact, we are also happy to brand clients existing Kiosks. 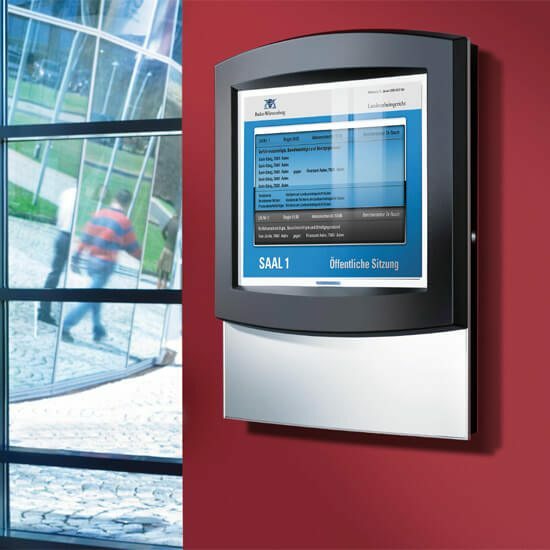 The FlexiBasic is a simple solution designed for when there is a need for a straightforward user experience. 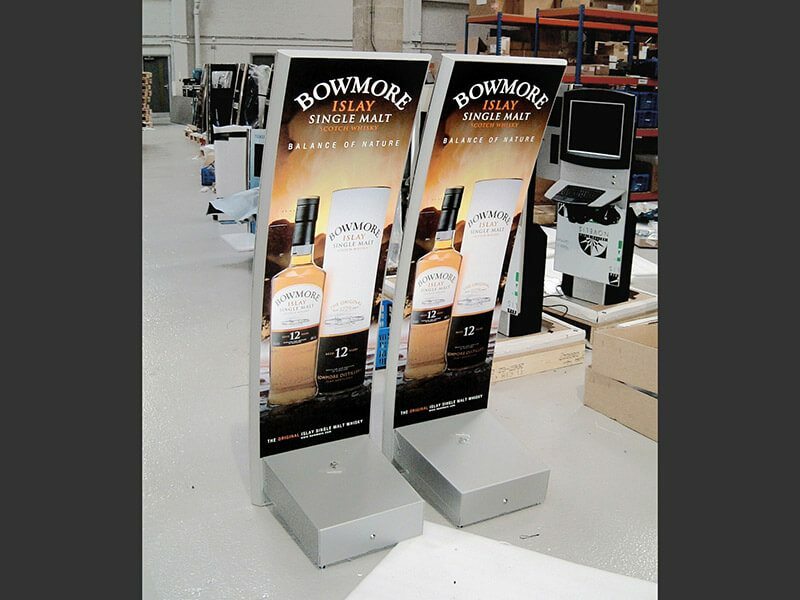 Ideal for exhibitions and car showrooms. 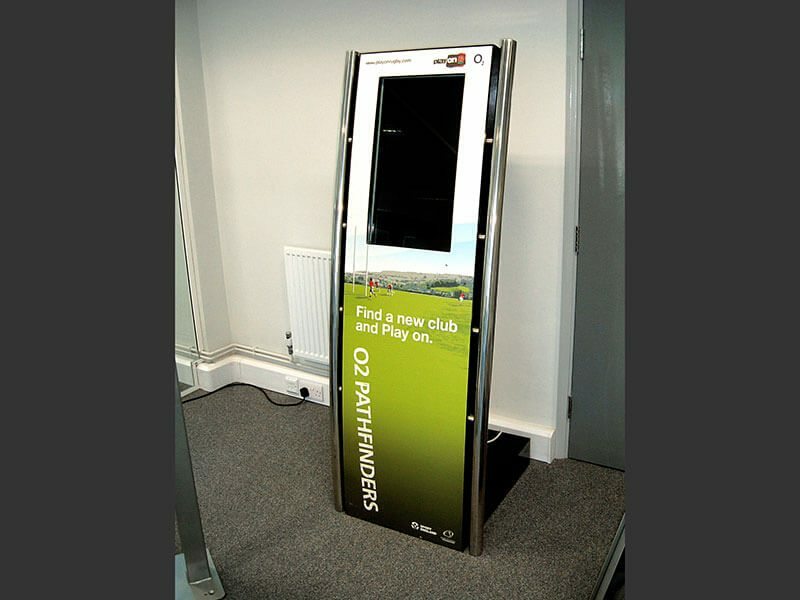 The FlexiMidi has a unique design that can be adapted to suit any indoor location. Its' curved design gives it a stylish presence. 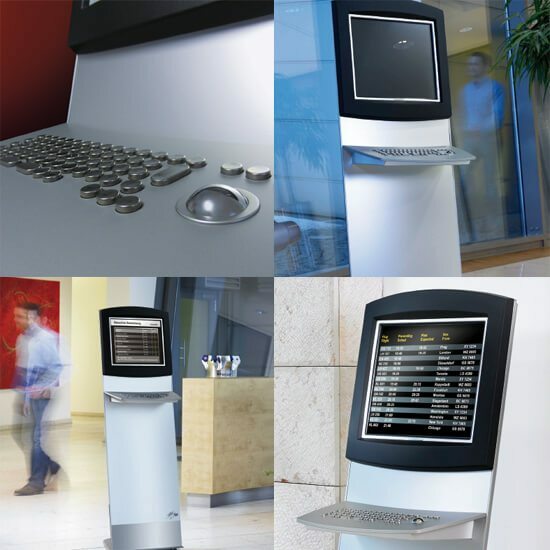 FlexiMidi can be made with various options, including printers, payment systems and card readers. We always try to adapt the FlexiMidi for your needs. 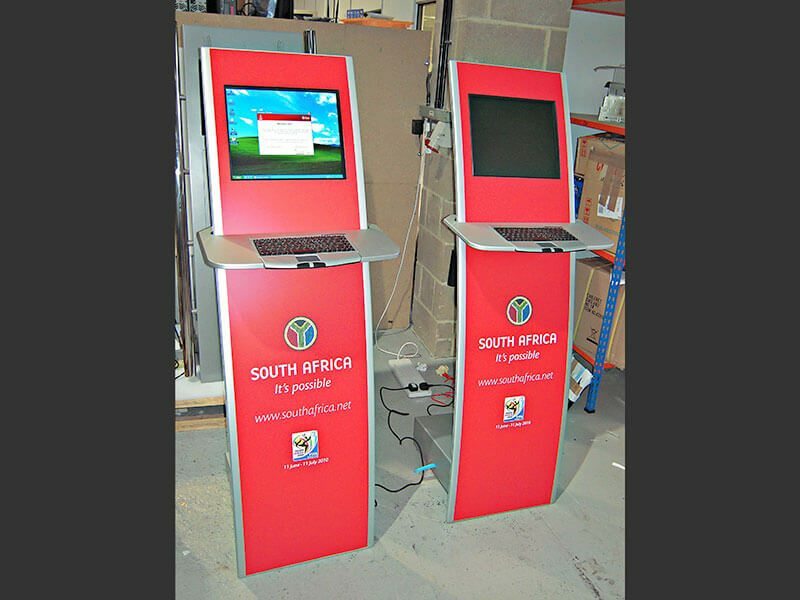 Great for hospitals, receptions, tourist information areas, exhibitions, town halls, shopping centres and educational institutions. 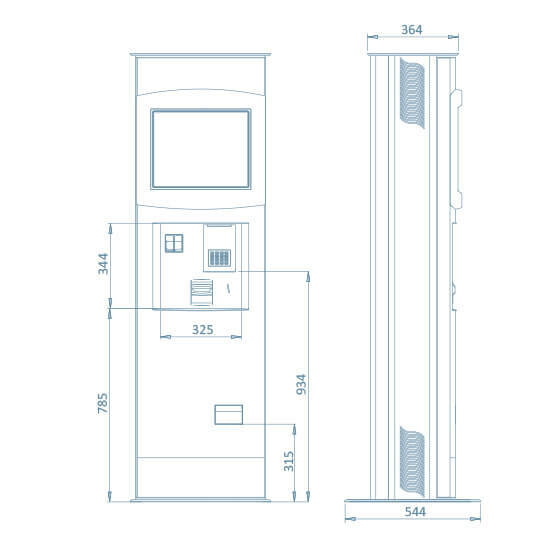 The FlexiMaxi is a good professional all-rounder that accepts payment as well as providing up to date customer information. 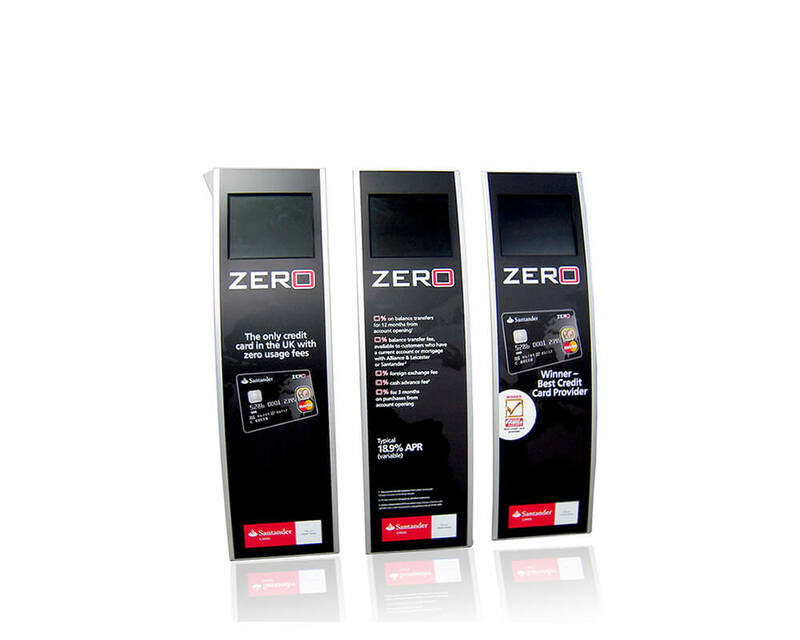 Its design allows for multiple additions enabling full payment (cash and cards). One of the FlexiMaxis pros is that you are able to open it with keys so it's easy to service. The FlexiAdjust is a height adjustable model which is extremely accessible for disabled and able bodied users. 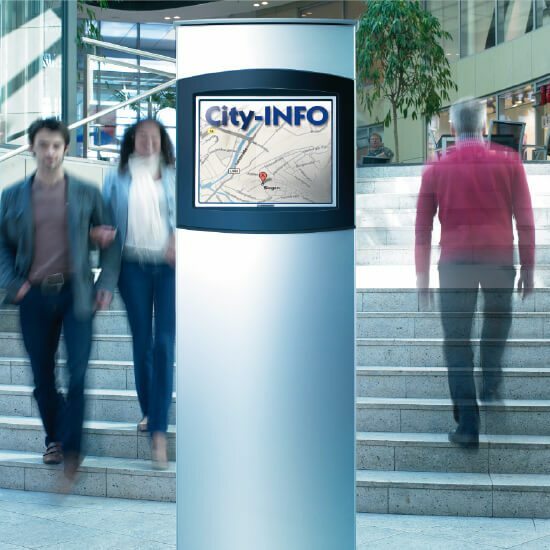 The FlexiAdjust is used at places where everybody must be able to check information. 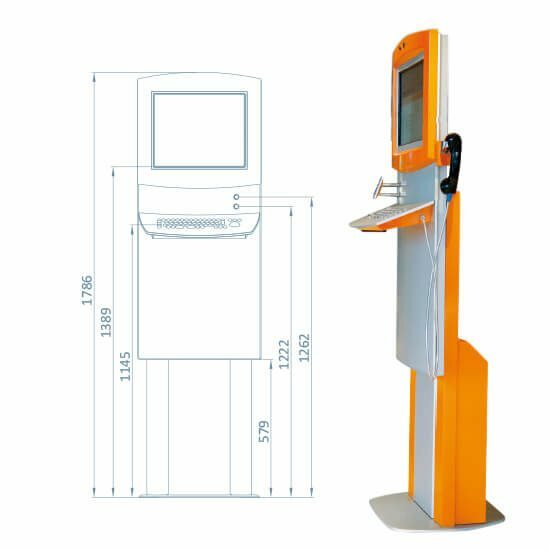 For example Rabobank have a bank servicing customers only with kiosks, no staff. 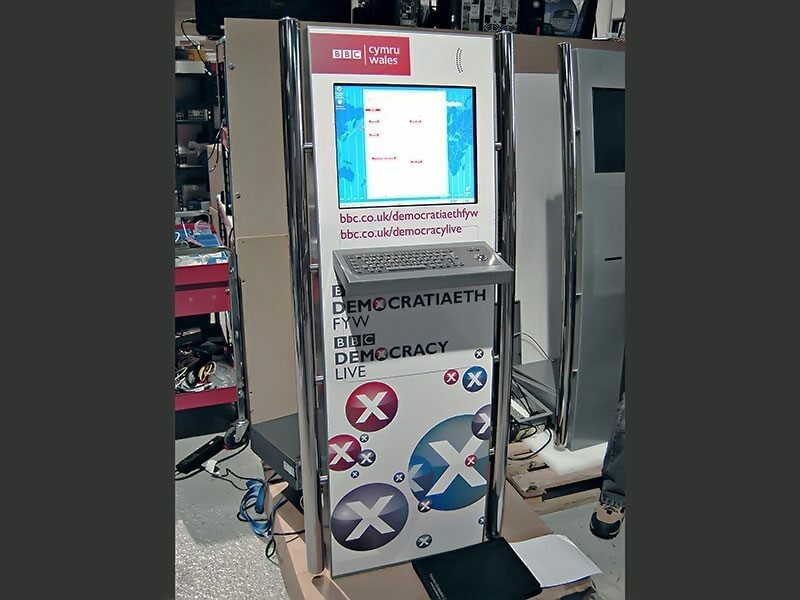 Therefore they use FlexiAdjust kiosks to ensure all users can access the systems. The FlexiWall is the most compact unit in the Flexi Series. Small but beautiful, this compact design can be customized to suit your requirements. 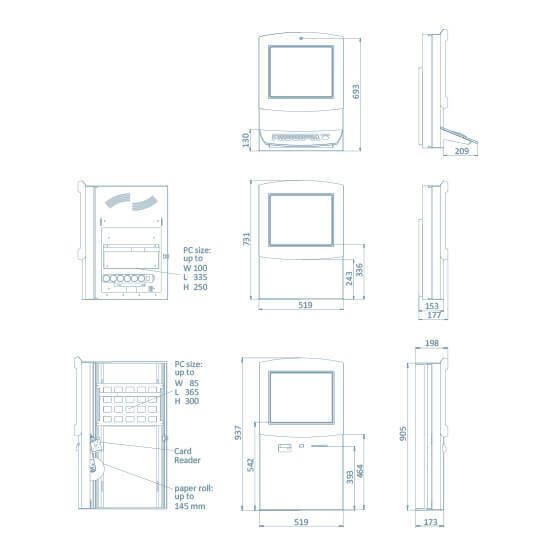 The service-friendly, lockable maintenance doors provide easy handling and optimum access to the technology. Full Colour Printed Graphics Surrey, Berkshire, Hampshire. 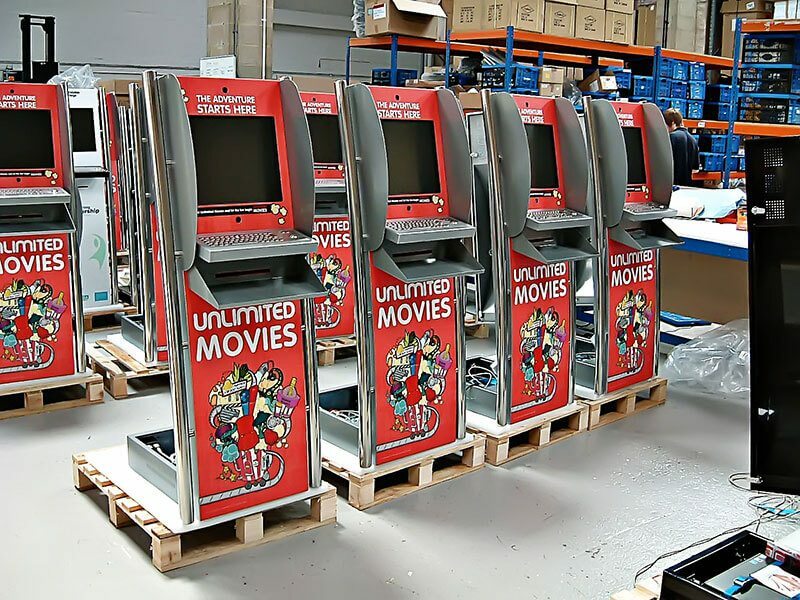 A roll out of over 30 new kiosks to Cineworld Cinemas. Printed Graphics Surrey. 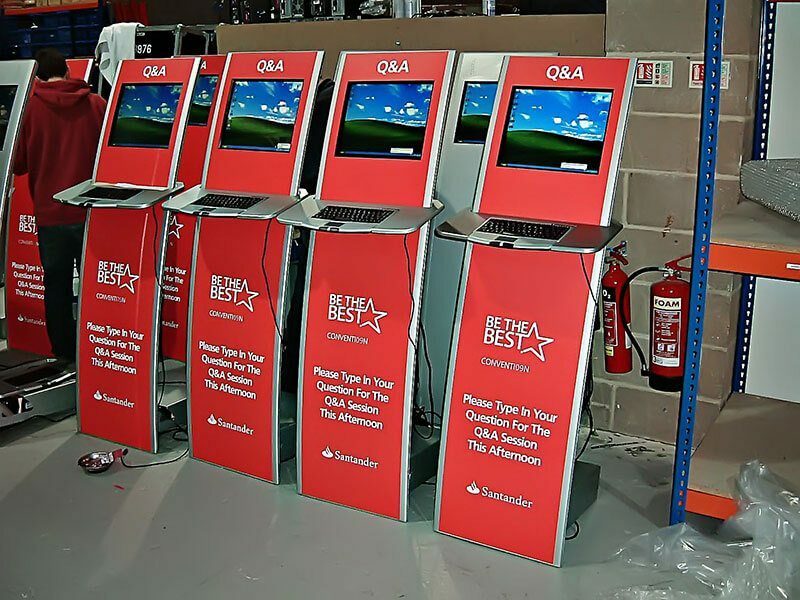 We printed and applied the graphics with a matt finish to ensure a durable and scratch resistant finish. Printed Graphics Surrey. 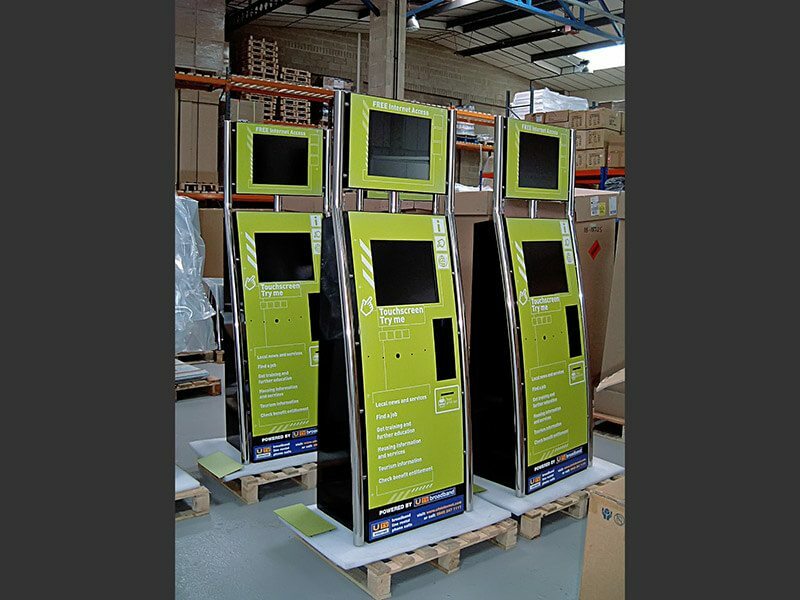 A pair of touch screen kiosks produced for Bedford College. Printed Graphics Camberley. Brand consistency is vital. 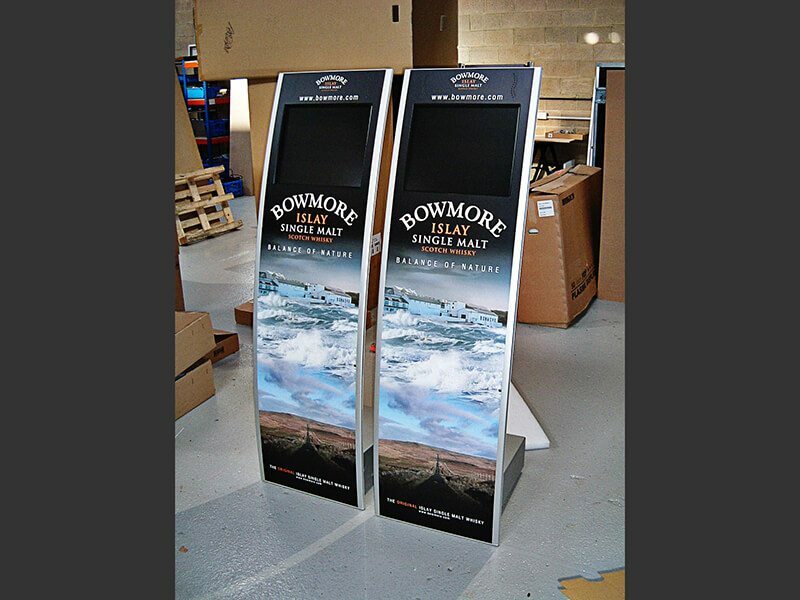 In this example vinyl graphics have transformed a generic touchscreen kiosk into a powerful marketing tool. Large Format Prints Surrey. 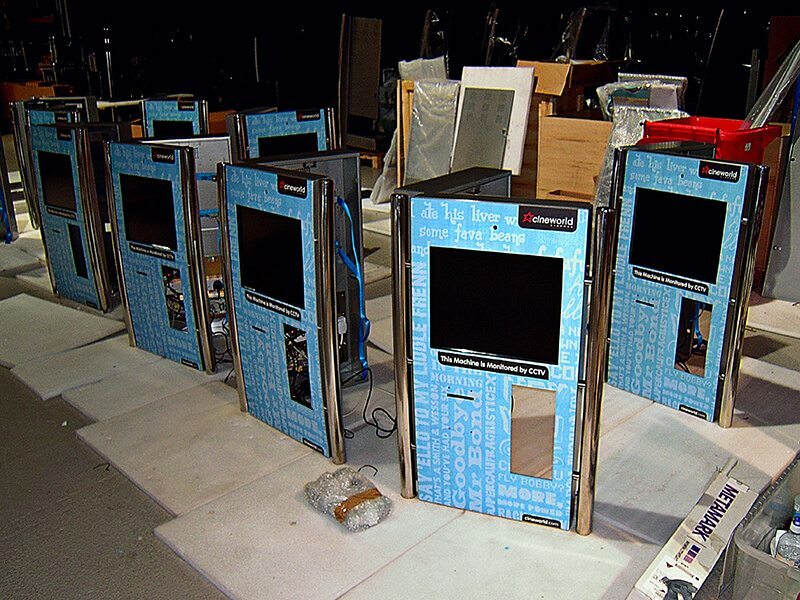 Branding and kiosks can be adapted for most purposes. Printed Stickers Camberley. 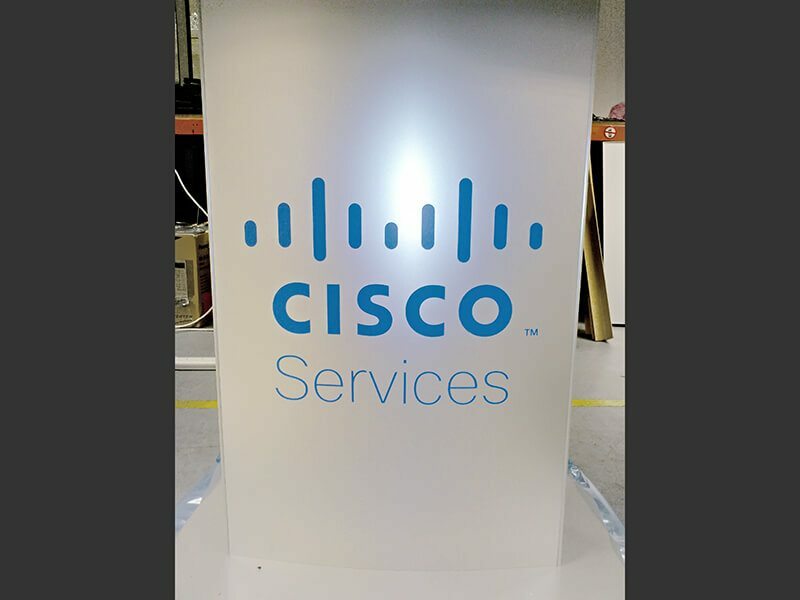 Graphics printed to clear - to allow the background colour to show through while still keeping all the logo elements in tact. Printed Signs Surrey. 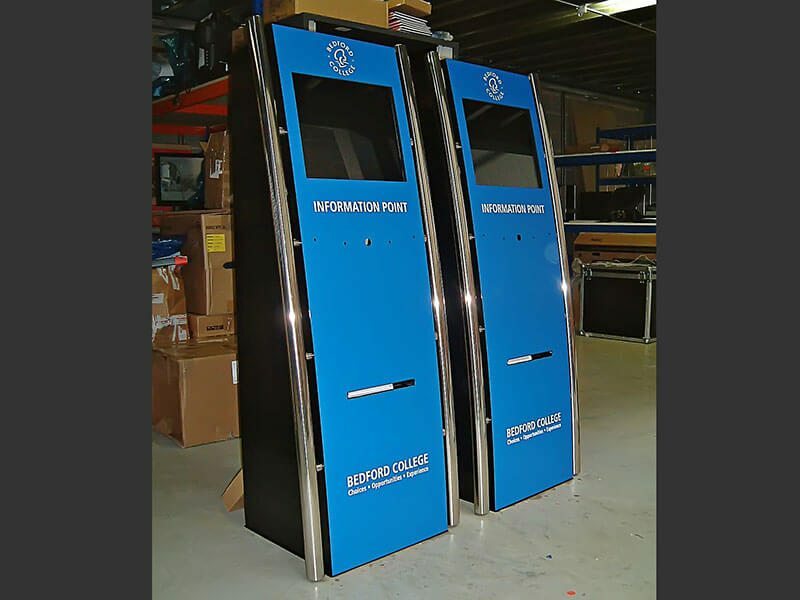 Ticket printing kiosks for a great customer experience.